A couple systems will effect the eastern half of the country right in time for Christmas. A broad area of accumulating snow is possible with storms one, with an area of heavier snow possible for storm #2. Confidence on the first system for December 22nd-23rd is fairly high, but specific track and snow amounts are still up in the air. The major unknown deals with system number two, where it will go and how it might interact with system #1 somewhere in the Great Lakes, such a scenario would amplify the forcing and subsequent snow in the area. A large trough will set up over the eastern half of the country during the time period of our storms. This will provide the relative cold air needed for snow, but more importantly will determine the track of system number two. An area of low pressure will develop in the left exit region of a jet core, somewhere over the Mississippi River Valley. It will then propagate to the northeast, along the jet stream. 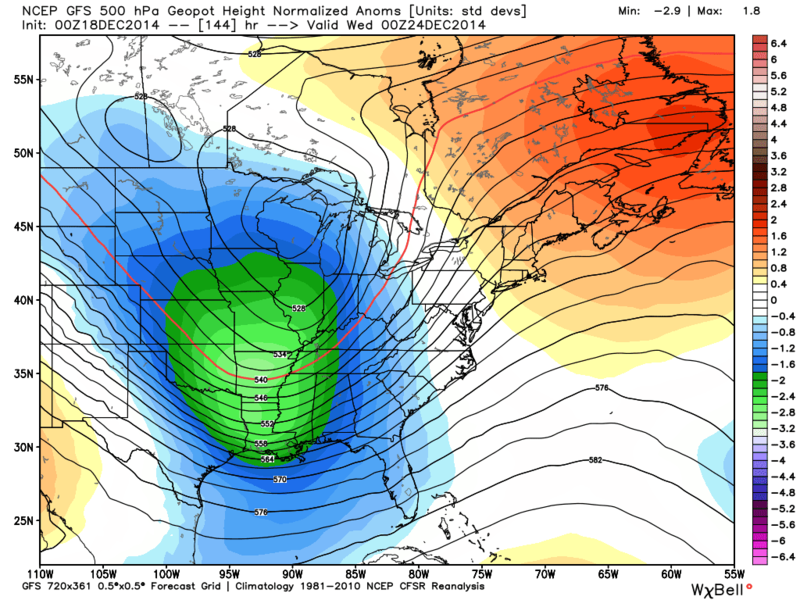 The exact location and amplitude of the trough/cold air mass will determine the effects of system #2. On the left is the vorticity at 500mb along with geopotential heights in solid black contours. Notice signs of the trough, or dip, in the middle of the country. Areas of positive vorticity advection will likely see ascent and precipitation. This atmosphere is setting up in a way where there is ample vorticity or "spin" to work with. Along with the fact that system #1 is closed off from the jet stream and not going anywhere until system #2 influences its core, complexity may be an understatement. The exact influence will need to monitored and we will update as this possibly active period draws closer. 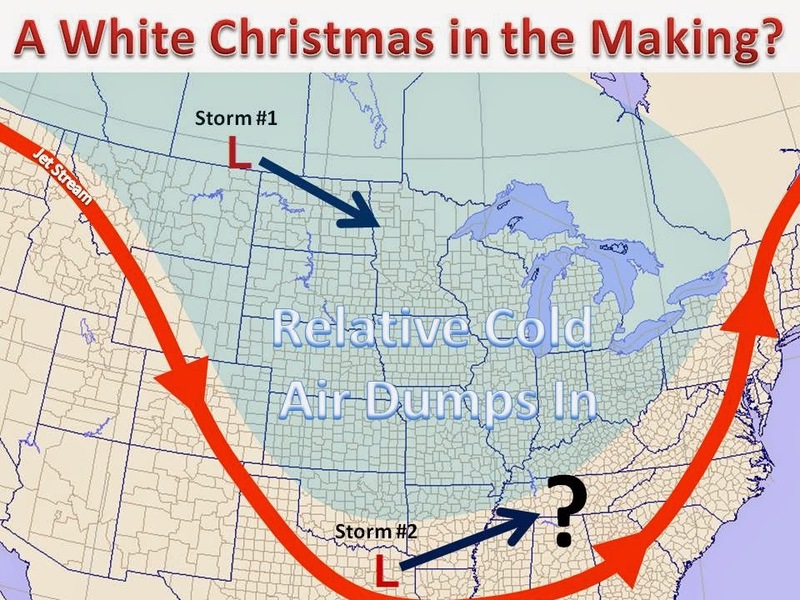 Dreaming of a Midwest White Christmas?